Not just a game, this item is also a theme. 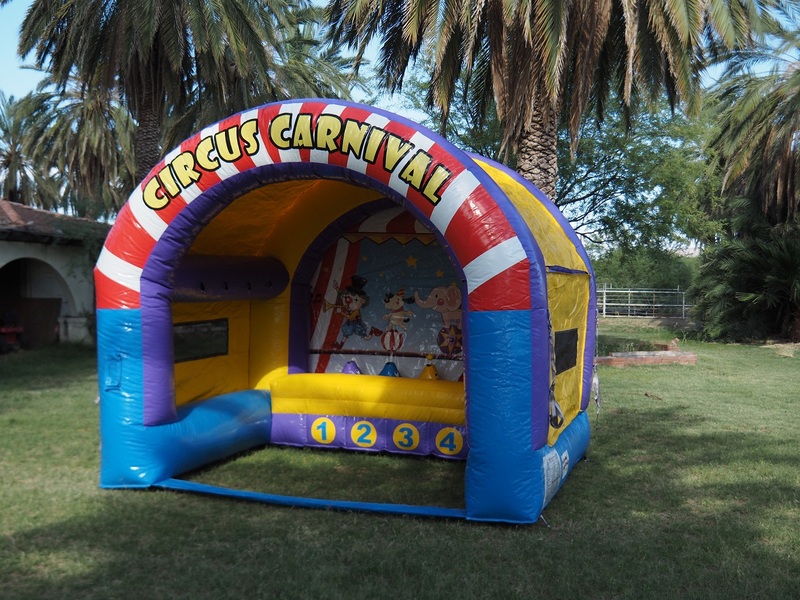 Add ambiance to your Carnival or Circus Themed party. This colorful piece will set a festive mood for your event. You can also use this as a fun covered area that will accomodate a kiddie table and chairs while the kids do food, snacks or cake! The game itself is addictive. Four balls seem to magically float on air. The players try to hit the floating balls or knock them down by breaking the airflow.